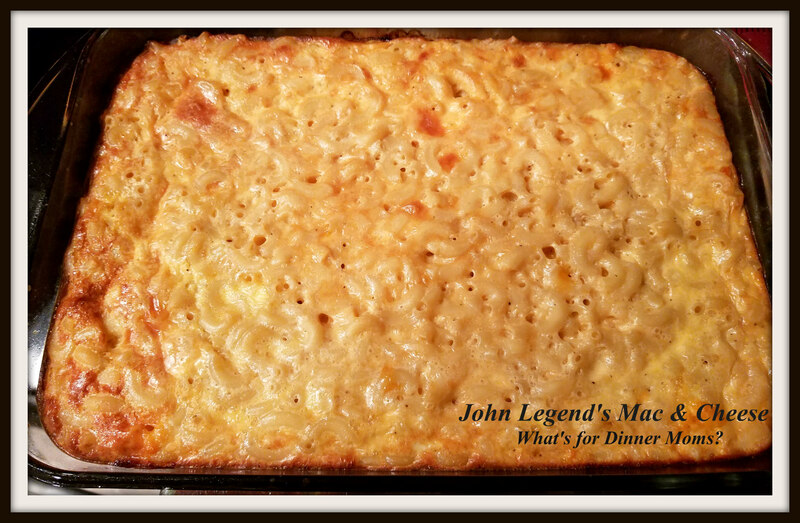 John Legend’s Mac & Cheese (with changes) – What's for Dinner Moms? The past week or so I was seeing John Legend’s Mac & Cheese recipe from a Martha Stewart show all over the internet. I read several of the reviews, because I always want to know what people like and don’t like, and the number one complaint was that it seemed curdled. The recipe seemed super simple and I think I knew what was causing the problem so I set out to see if I could fix the curdling as it baked. My family thought the macaroni and cheese was good. It is a Southern style mac & cheese with a custard like base. When I was reading the recipes they were baked at 375 degrees AND the eggs were mixed in with the milk and layered with the macaroni and cheese in a pan to bake. When you make a custard dish it should be baked between 325 degrees and 350 degrees. Also, mixing in the eggs with the milk and then pouring over the pasta could have made the eggs curdle if the pasta is hot. You are basically scrambling the eggs before you bake it. I would definitely add the season salt or extra salt and pepper to this to increase the flavor. Also, make sure you are using EXTRA-sharp cheddar for the flavor. 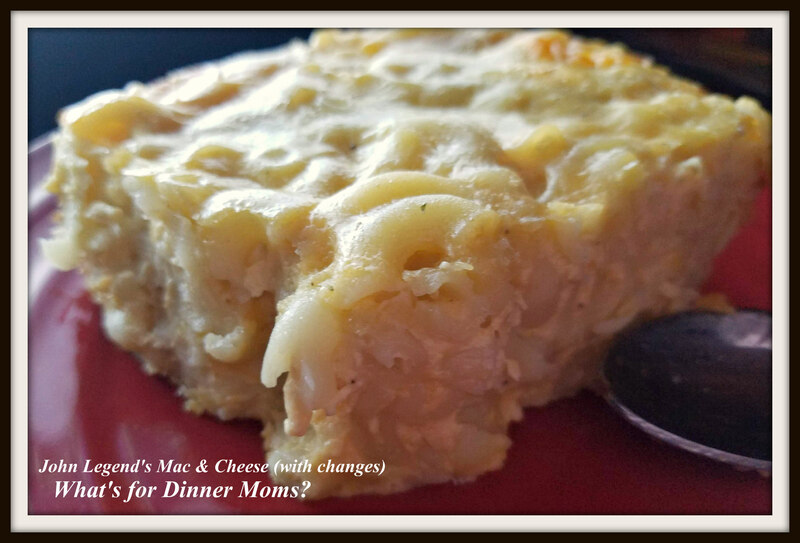 Southern Style Mac & Cheese with a smooth creamy texture! Preheat oven to 350 degrees. Grease a 13″ x 9″ pan with non-stick spray or butter. Set dish aside. Boil and salt water according to package directions for pasta. Cook until al dente (slightly chewy). Drain pasta and then return to pan. Add butter to the pasta and stir until completely melted. Add seasoned salt, extra-sharp cheddar cheese, Monterey Jack cheese, salt, and black pepper to the pan. Stir ingredients well until cheeses have melted. Let pan sit for a few minutes to cool slightly before beating eggs well and adding them to the mixture. Stir well and immediately pour mixture into prepared pan and bake for 45 minutes to 50 minutes until center is set and edges are slightly browning. Looks good, so nice to have those tips! Thank you! Hope it works for you! What great detective work on the recipe! Thank you so very much! I love reading the comments on recipes and trying to adapt them to what will work for us! My daughter is a big Mac & Cheese fan. I will check your recipe out, Marci! Thank you! This is the Southern style and has a great stick together texture. Yes, the egg does the trick! Looking forward to trying it!